American pianist Richard Jeric is a dynamic soloist, avid collaborator, and committed educator. Italy, China, Dublin, and Prague as well as nationally in New York, Washington D.C., Los.Angeles, Cleveland, Kansas City, and Aspen. Richard has appeared with the Longmont Symphony, Jefferson City Symphony, Medical Arts Symphony, Shenandoah Conservatory Symphony, UMKC, and Kent State University Orchestras and the Midwest Chamber Ensemble. 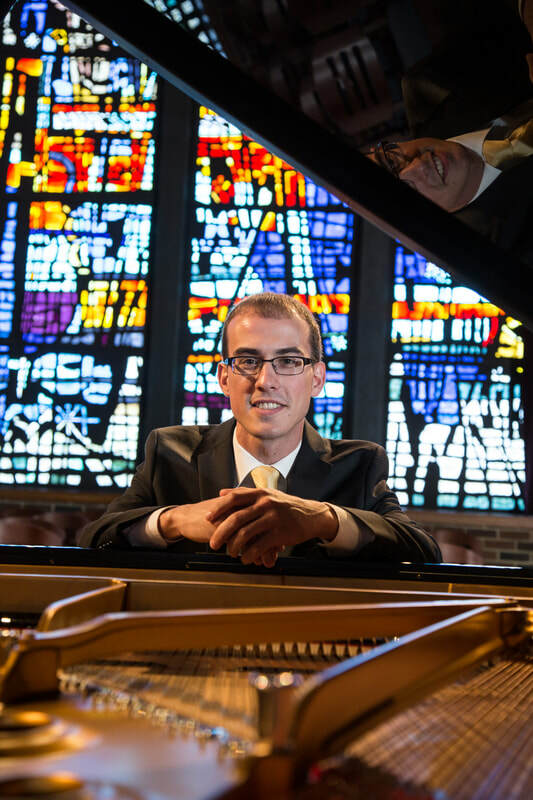 His numerous awards and recognitions include the Shenandoah Conservatory Student Soloist Competition, Jefferson City Symphony Orchestra Piano Competition in Missouri, UMKC Concerto/Aria Competition, Naftzger Piano Award in Wichita, Kansas, Artist Presentation Society Auditions in St. Louis, and KSU Concerto Competition. Richard has had the high honor to perform for U.S. Supreme Court Justice Ruth Bader Ginsburg in Washington, D.C. Having a special affinity for collaborating with vocalists in operatic and art song literature, he has worked with pianists Graham Johnson, Warren Jones, Martin Katz, and Ken Noda and vocalists Renée Fleming, Nancy Gustafson, Marilyn Horne, Karita Mattila, and Deborah Voigt. A highlight of Richard’s ever-evolving career was performing at Carnegie Hall as part of The Song Continues, a series of master classes founded by the legendary Marilyn Horne. A proponent of new music, Richard has worked with noted American composers Mark Adamo, John Corigliano, John Harbison, Jake Heggie, Libby Larsen, Lowell Liebermann, and John Musto. He performed with other members of the UMKC Conservatory as part of the 2014 Beijing Modern Music. He has participated in summer festivals including SongFest as a Fellowship recipient, Aspen Music Festival and School, and CCM Prague International Piano Institute. of Music degree under Jerry Wong at Kent State University.